Support HDMI and USB port, can connecte with computer, U flash disk and hard disk. 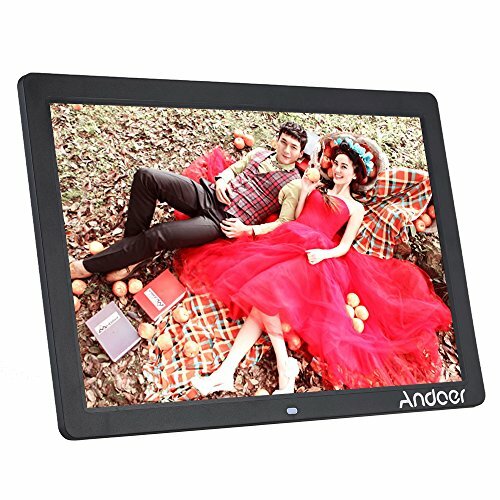 ♥ Superb picture quality.17 Inch LED (1440*900) resolution wide picture screen offers a clear and distinct display. They are large enough to be viewed from anywhere in the room and the picture quality is as good as your computer monitor. ♥Support HDMI and USB port, can connecte with computer, U flash disk and hard disk. It only takes a couple of moments to set the correct date and time and this is used in some of the display options to give you not just a photo frame, but also a clock and/or calendar. ♥Reads Memory card max. to 32GB. Photos and videos look great, it's easy to setup, just remember to buy a memory card or USB stick if you don't have one spare.